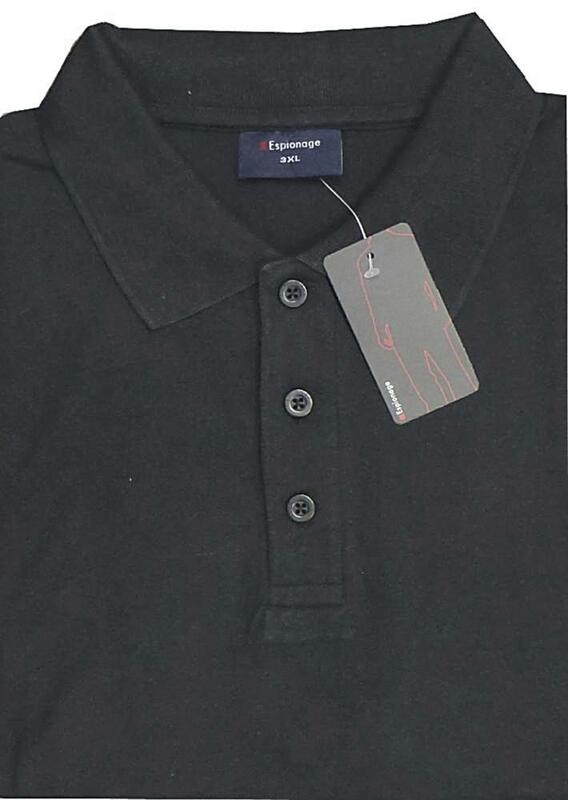 Espionage natural cotton pique polo shirt 100% cotton 200gms quality weight colour. In sizes 2XL - 8XL with generously cut for comfort and an average lenght of 34". Looks greta with a pair of JEANS when your looking for a smart casual look. 3 buttons placket and flat ribbed collar. soft handle honeycomb finsih carries the Espionage quality of assurance and fit. Other colours available are Blue/Navy. Exactly as described, excellent quality sizing perfect. I ordered the 5xl 58 to 60 inch chest they were much too big I did not want to take the chance on the smaller size as I think they may have been too big as well. The sizing chart that I went by is not accurate. 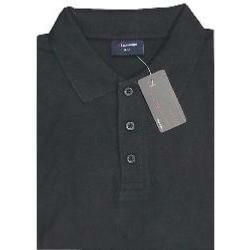 that said they seemed to be good quality polo shirts.